Dear Mister Kandan! 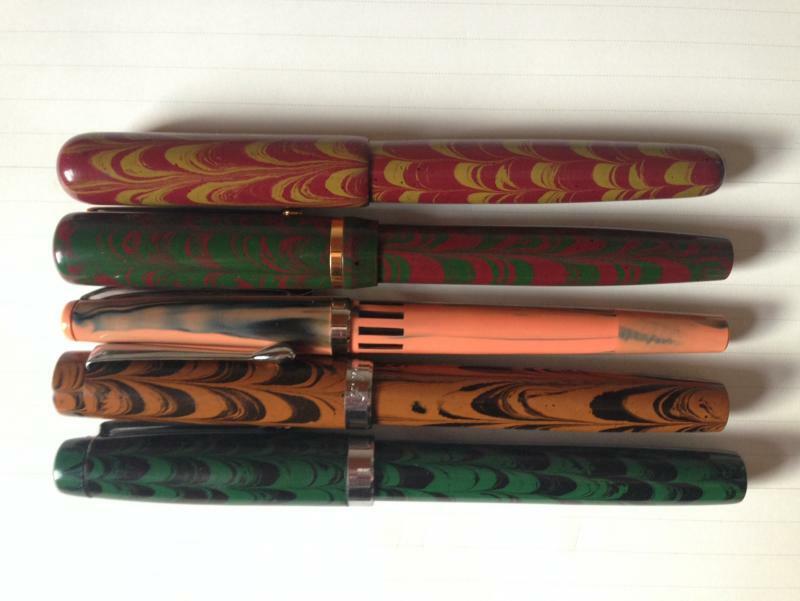 You have excellent photos of Ranga pens on instagram! Please put them on Your facebook page, also, if possible! Best wishes! Beautiful model. Nice group buy. Tremendous work put behind each pen. goodness, they look nice, but too big for me! 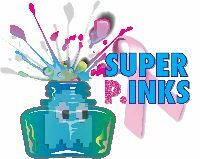 Thanks again for making this Group Buy a Big Success So far, It has touched 62 So far. Shipment will be done on this week. I just added on to the form. Am I too late? Are you sending tracking numbers to buyers upon shipment? "We have very limited number of pens. Pens would be shipped in 1 week from payment. So No waiting time . Enjoy the benefit of Group buy price with no waiting time"
I have not received any tracking number or notice of shipment....can you forward me the tracking number? Our Postal office is closed up for Software upgrade for a week and it is reopening on Monday. So the shipment will start on Monday (16th April). Pens are ready. Apologies for the slight delay which is not in our control. We will do in future Sir. This is a custom Ranga that didn't cost any extra and I got it in about 15 days form India. It's called a 3CS (clipless) that was special ordered at 5 inches long. The "S" in the 3CS means smaller diameter section than the regular 3C. This pen is very well made. Yeah, I can't wait to see this behemoth. I once asked a very prominent pen maker here in the America if he could add a clip to one of his oversized pens and he said it couldn't be done. Kind of curious how Ranga does it. @Nail-Bender, I really like the look of that FPR Triveni! Is that the brown ebonite - and does it really have a bit of a 'burnt orange' or orange/brown cast to it, or is that a trick of the light? Thanks! ... does it really have a bit of a 'burnt orange' or orange/brown cast to it, or is that a trick of the light? Thanks! The 1st pic was taken under flourescent light. This is a natural light pic and I'd say that it does have just a bit of an orange tint to it but not much. I switched the clip out for a Himalayan one because I thought it looked cheap. The Himalayan clip is a perfect fit on the Triveni. Edited by Nail-Bender, 14 April 2018 - 11:44. That's great to hear. I am loving how this majestic pen looks especially with the black two ends but I too feel that this size would be too big for me. I will wait until a smaller version comes out, I think, before I order. 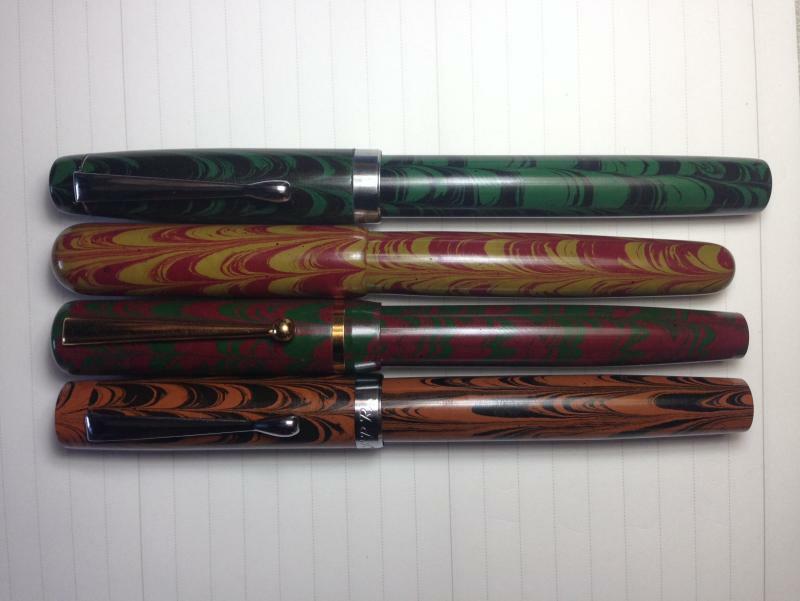 Your pens are just stunningly beautiful.